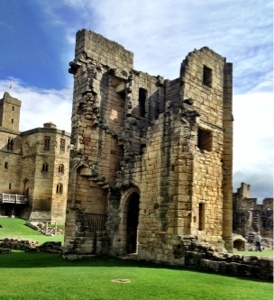 We have driven past Warkworth castle many times and had it on our list of places to visit but just never got around to it! 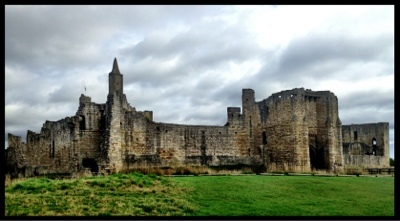 This week, we have been staying at Cresswell and Warkworth is only 9 miles away so we decided to pay a visit. 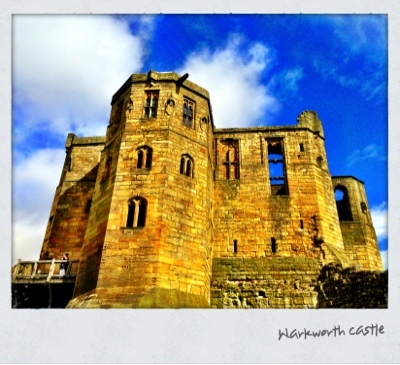 Warkworth castle was thought to have been built in the 12th Century and I think you'll agree, it is simply stunning. The castle has not been renovated and is very rustic, which I think is part if the appeal. Car parking is charged at £3 - however this is reimbursed on paying your entrance fee. The entrance fee is fantastic value at only £6 per adult, £3.50 per child and under 5's are free. Your ticket is valid all day and you can come and go as you please. The staff are really very friendly and helpful and I was very pleased to see that dogs on leads are not forgotten and are indeed welcome to join in the fun. 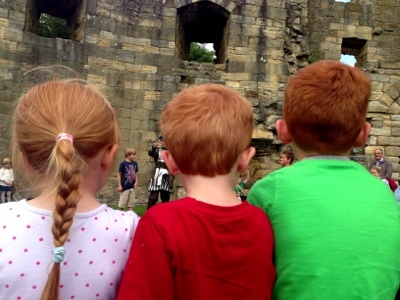 My kids loved exploring the castle and it was lovely to see their imagination working overtime as we imagined who would be working and living in various parts of the castle. They were literally running from room to room and genuinely very excitable! 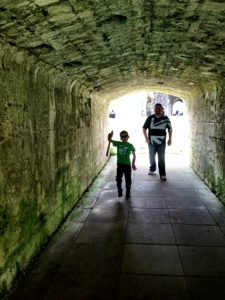 There were turrets, dungeons, great halls and dark corners to explore. 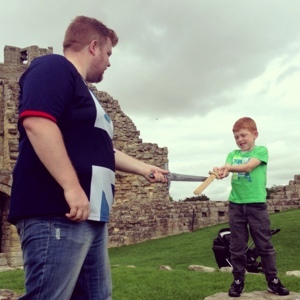 We took our toy swords along with us and enjoyed a few 'battles' in the castle grounds. 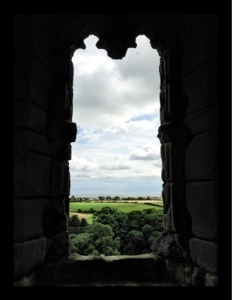 I am an absolute sucker for a castle window with a view and Warkworth castle did not disappoint. 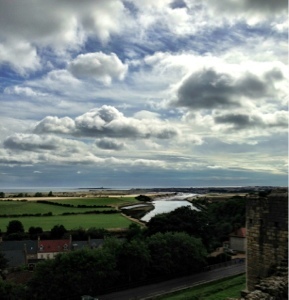 There were fantastic views of the countryside, Northumbrian coast and even the Farne Islands could be seen. The views were simply beautiful. 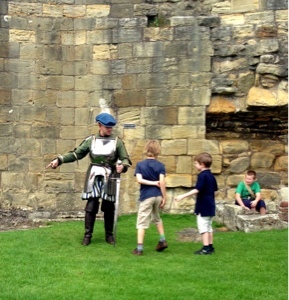 On the day of our visit, there was a special clash of the kingdoms event happening. 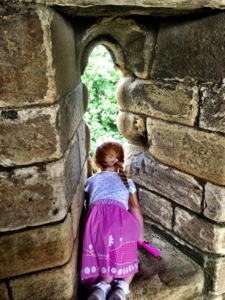 There was a different activity on every hour - we watched the weaponry display from the top of the castle. Later on we enjoyed listening to the tale of the battle Flodden. The story teller was amusing, engaging and involved the crowd. I actually learned something too! There are plenty of open spaces to enjoy a picnic within the grounds (as many people were) and it was lovely to do this whilst the kids enjoyed running around the grounds pretending to be knights. 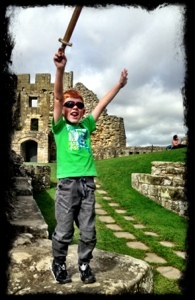 All in all, Warkworth castle was a fantastic day out. 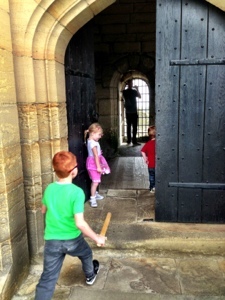 It was refreshing to let the kids run around a castle freely without constantly asking them not to touch anything or be careful. 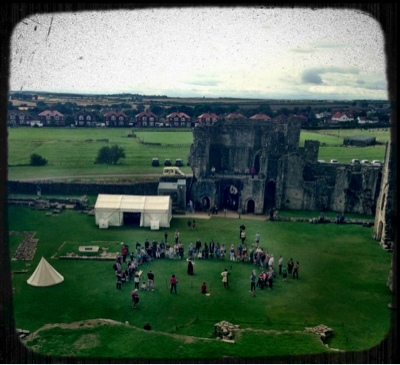 We enjoyed it so much that we signed up to be English heritage members there and then. We are looking forward to seeing what else they have to offer.